We give hope one hour at a time. 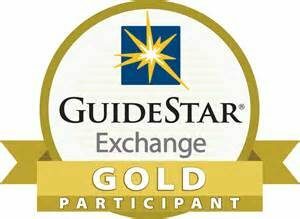 Your gift -- even $10 -- can change a life that fast, helping someone struggling to pay for a one-hour counseling session. 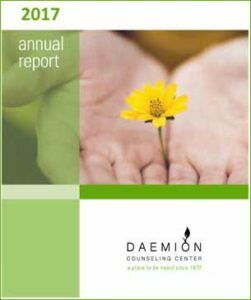 Daemion’s licensed professional counselors help people struggling with mental health and life challenges turn the corner toward hope. Since 1970, we have continuously served clients in southeastern Pennsylvania (Chester, Delaware, Montgomery and Philadelphia counties). Our licensed professional licensed therapists and counselors provide affordable counseling for individuals age 14+ and families who are dealing with issues such as depression, anxiety, anger management, grief, loss, sobriety and recovery, and parenting -- increasing their ability to learn, cope, change, and grow. AmazonSmile The AmazonSmile foundation donates .05% of your purchase price eligible AmazonSmile items and there's no cap on how much they will donate! This is another way we can increase Daemion's donation potential by spreading the word about AmazonSmile. Please tell all of your family and friends. Visit http://smile.amazon.com/ch/23-1733365 to make your donation. Securities Stocks and bonds that have appreciated in value represent an excellent way to make a gift to Daemion Counseling Center. When giving a gift of appreciated stock, you avoid paying any capital gains tax on the increase in value of the stock and you receive an income tax charitable deduction for the full fair market value of the stock at the time of the gift. For donation procedures, contact Marti Magee, at 610-647-1431, or Margaret@daemioncounseling.org. Non-Monetary Please see our Wish List page for the items most needed. For more information about making an in-kind donation from an individual or group, please contact us at 610-647-1431.